Brooklyn Blues from Frog Hollow Designs by Linda Hahn. Quilt patterns and kits. 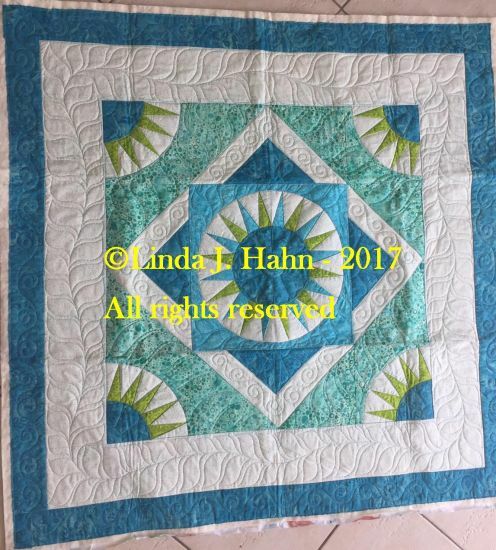 A small, manageable project allows students to learn Linda's ONE PIN technique for creating perfect New York Beauty blocks. The project is suited to coordinate with many different fabric style preferences. It can easily be made larger.